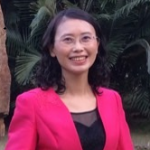 Xiqin Liu received her PhD in Linguistics and Applied Linguistics from Guangdong University of Foreign Studies, Guangzhou, China in 2017. She is an associate professor at the School of Foreign Languages, South China University of Technology, supervising MA and MTI candidates. Her research interests include lexicography, mobile-assisted language learning, second language acquisition, critical/multimodal discourse analysis, corpus linguistics and translatology. Her personal profile can be found on Research Gate: www.researchgate.net/profile/Xiqin_Liu2. Her sponsoring SLS professor is Dr. Dongping Zheng. 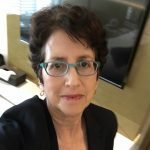 Meryl Siegal holds an MA in linguistics from the University of Hawai‘i and a PhD from the Graduate School in Education, University of California, Berkeley. Her research fields include Japanese pragmatics, college composition and multilingual writers, and neoliberal movements in higher education. She trained teachers in universities throughout the Bay Area and Japan, Senegal, Guinea, Morocco, Chad, and India. Currently, Meryl teaches at Laney College in Oakland, California. Her research project focuses on current trends in community college freshman composition and the subsequent preparedness of students for transfer. Her sponsoring SLS professor is Dr. Betsy Gilliland. Zhijun Wen received his PhD in Second Language Acquisition from the University of Hawai‘i at Mānoa in December 2015. 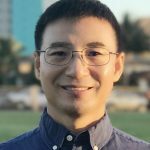 His research interests include Chinese linguistics, Chinese sentence processing, psycholinguistics, second-language pedagogy, and second-language sentence processing. His current research focuses on native and nonnative sentence processing in Chinese, L2 learning in Chinese, and pedagogical implications of L2 processing research. His sponsoring SLS professor is Dr. Bonnie D. Schwartz.